The engine makes it possible to develop bots for almost any casino and poker room. Features: - It works with more than 10 online casino platforms and more than 100 casinos. 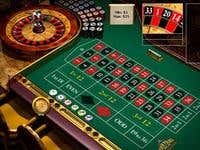 - Easy to integrate with any casino. - Works automatically without human involvement. - Intelligent recognition system. - More than 50 params (stop loss,win loss, timing, live mode, dealer changes, safe mode, etc). - Undetectable with anti-virus and firewalls. - Simulation of human actions. Technologies: C#, .NET, Irec, BXMotion.